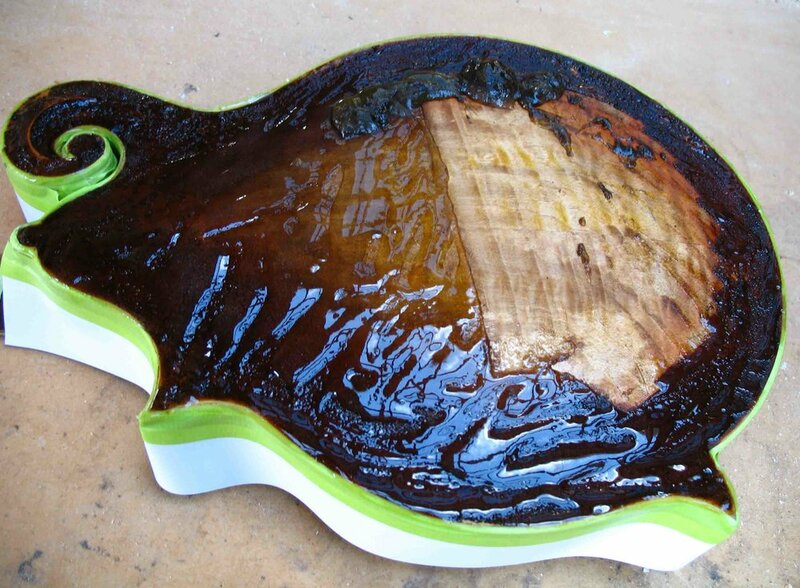 A nice example of a "side bound" July 9th with all original hardware and varnish apart from a previous poor attempt to re-finish the back. 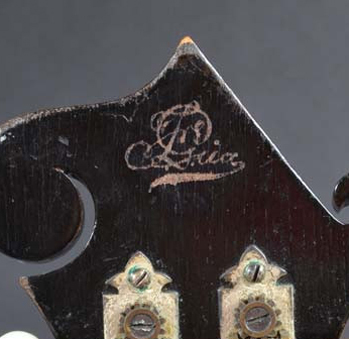 The only other issue with this instrument, other than a rather permanent signature on the back of the headstock by a previous owner ("F.E.Gria"...? 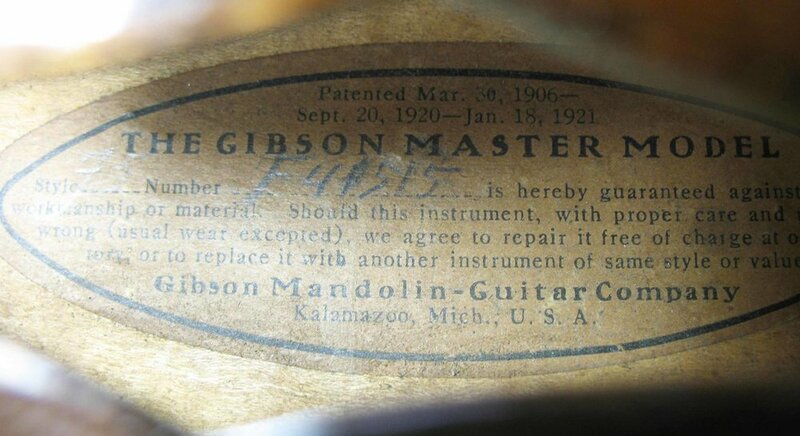 ), is the de-faced serial number on the guarantee label. One could speculate on a historical connection between these two issues?